My afternoon with Chef Natalie was full of learning, photos, and food, both healthy and white trashy. In addition to the mango-pineapple smoothies, Natalie stepped it up a notch by making bacon pimiento cheese. 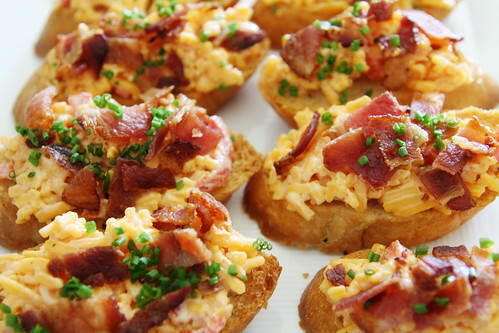 I’m not sure if you’re aware, and I know Chef Natalie had no clue, but pimiento cheese is nothing short of heaven for me. Growing up I thought it was the food of the devil. I mean, the name itself…pimiento…was utterly repulsive. Little did I know it was nothing more than sharp cheddar, pimientos, and mayo. Now that I’m older and wiser, I know the truth. But Natalie took it one step further. 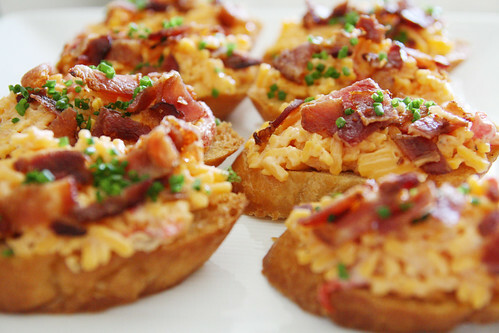 Instead of making the conventional version, she added bacon. And for this, she is officially my new best friend. 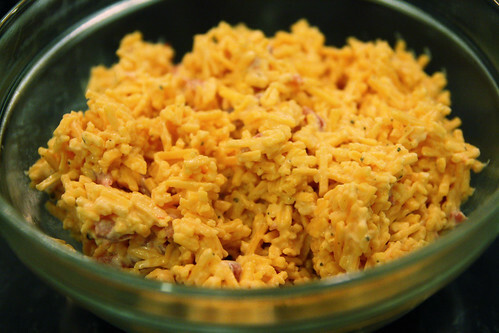 And although technically pimiento cheese is a tad bit white trash, this recipe is nothing short of a mouthwatering treat. Mix peppers, cholula, cheddar, mayo, salt and pepper well. 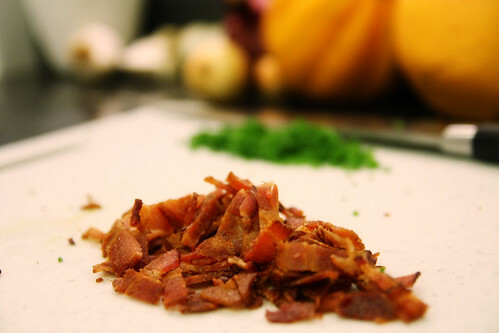 Top with crumbled bacon bits and chives. And if I were you, I wouldn’t reserve this recipe solely for your white trash enjoyment, I’d make it for your next tailgating adventure too.